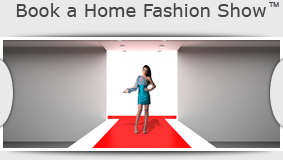 Book Your Home Fashion Show Today! MarAlonzo will bring the glitz and glamour of a designer-label fashion show, free of charge, into the privacy of your home. * Complete with live models and a full fashion runway, we roll out the red carpet for your guests upon arrival, including celebrity-style photos with professional backdrop and lighting. You provide the beverages and hors d'oeuvres — We take care of everything else! Invite friends and family to your home* for an afternoon or evening of elegant fun and fashion. We can even send professional invitations on your behalf and keep track of who is coming! 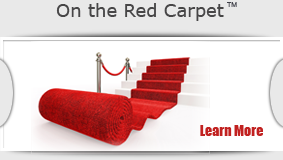 Guarantee a minimum attendance of 10 ladies for the red-carpet affair. Secure the desired time-slot for your fashion show with a $100 good faith deposit, fully refundable the day of the show. Sit back with your guests and enjoy the show! A very nice surprise for hostess . . . . We can't tell you what this is! Disassemble and whisk away all fashion show trappings, leaving your home in its original condition, just as we found it!